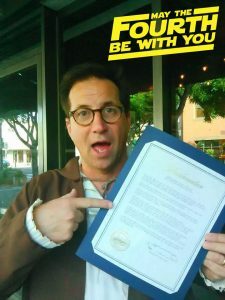 All over the world, Star Wars will be on everyone’s mind on May 4th. 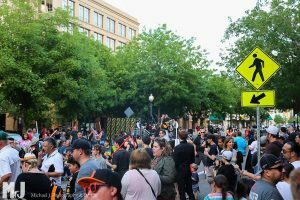 Yes, friends, this is our day and we are going to celebrate and bring the action to 10th St Plaza. 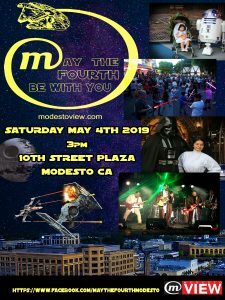 Bring the whole family and join the Northern California Star Wars community to celebrate May the 4th in Downtown Modesto. 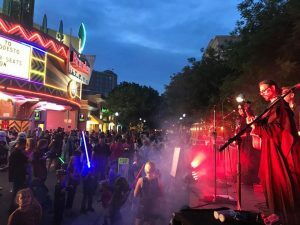 We have invited the 501st, Central Valley Cosplayers, Dark Empire, the Wolves of Mandalore and the Rebel Legion to join us at this event and the LodgePole Pickers will go full Jedi for their music in the plaza. 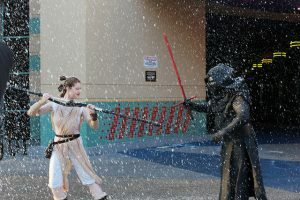 You won’t want to miss the lightsaber battles and the light show by Laser Voodoo. 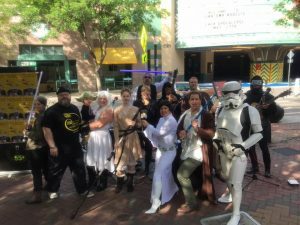 Everyone is encouraged to cosplay as their favorite Star Wars characters. 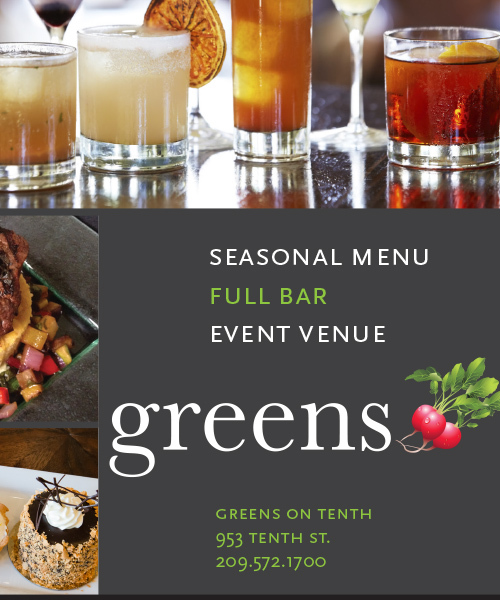 The celebration begins at 3 pm, with the Lodgepole Pickers going on at 6. We will have a public reading of the Modesto proclamation. Beyer High School Band will perform the music of John Williams. Around 8 pm an epic battle will be waged. Afterwards, there will be some more Jedi Lodge Pole Picker Music. This is a FREE event. The original Star Wars movie was released May 25, 1977, a day that changed modern film forever. From the opening theme and the rolling script, the world had a new lexicon of interstellar characters, starships and even speed measurements. In as little as a few parsecs, this film propelled Modesto native George Lucas into Hyperspace of film fame.